It was such a great opportunity to meet Maria on the Low Carb Cruise. 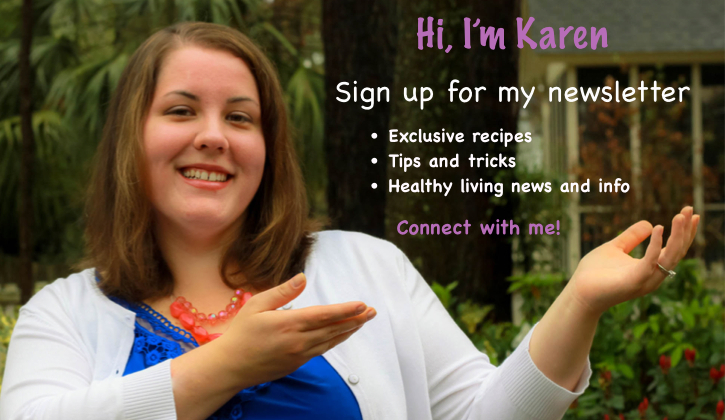 I’ve been a fan of her blog and recipes for a long time so I’m grateful for the chance to do a guest post on her site. Strawberry season is in full swing and so is the warm summer-like weather. 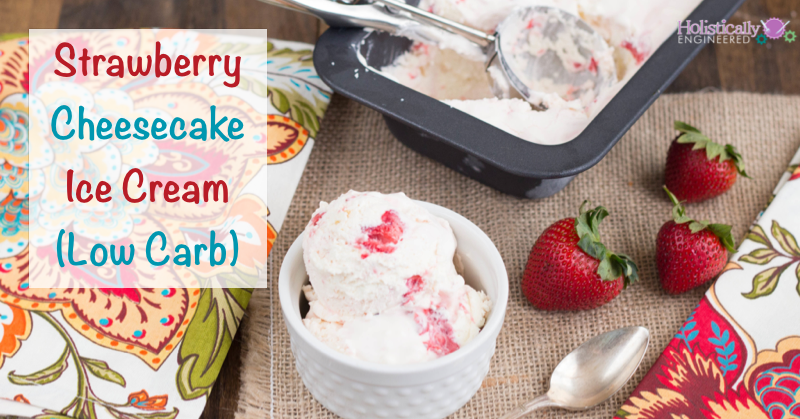 Normally I like to enjoy some no bake cheesecake for dessert, but since it’s even hotter than it normally is this time of year in South Carolina, I decided to turn my no bake cheesecake into a Strawberry Cheesecake Ice Cream. It has all the flavors of cheesecake in a cold, refreshing dessert. 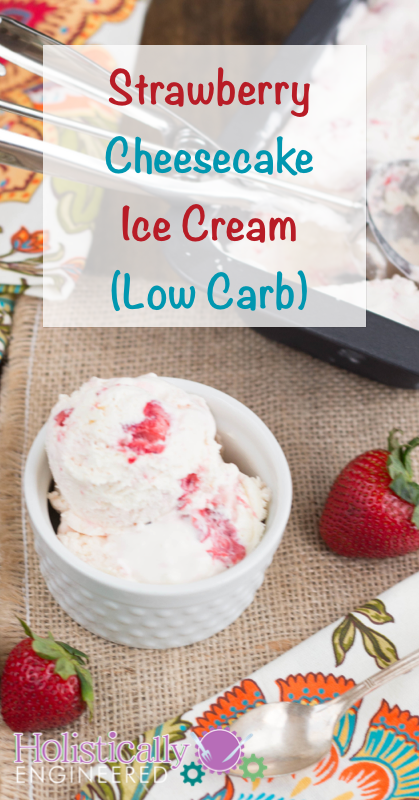 Check out the recipe for Strawberry Cheesecake Ice Cream on Maria Mind Body Health.